tijuana – Cool San Diego Sights! 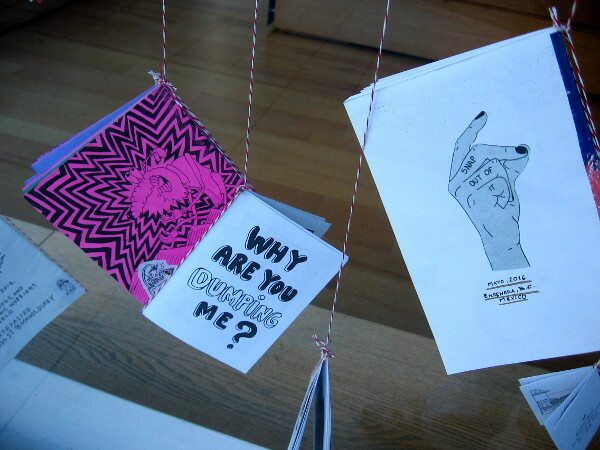 Tijuana Zine Fest at Museum of Contemporary Art. 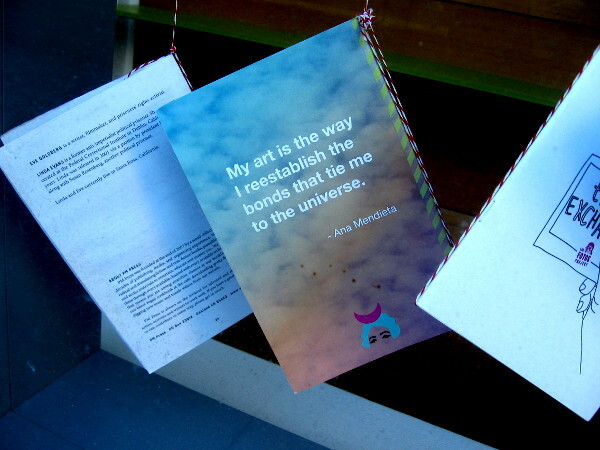 My art is the way I reestablish the bonds that tie me to the universe. 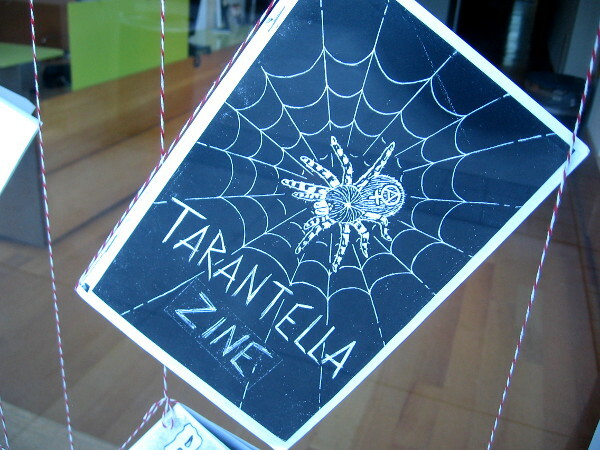 This morning I saw a bunch of cool zines dangling in the windows of downtown’s Museum of Contemporary Art San Diego. 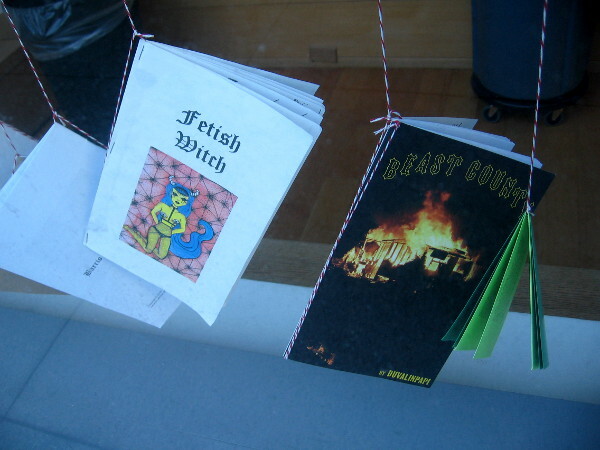 I was peering at the many imaginative covers and unexpected titles when I noticed this window display concerns the annual Tijuana Zine Fest, a regional festival that celebrates independent publishing and art. I always love to bathe in individual, uninhibited creativity. 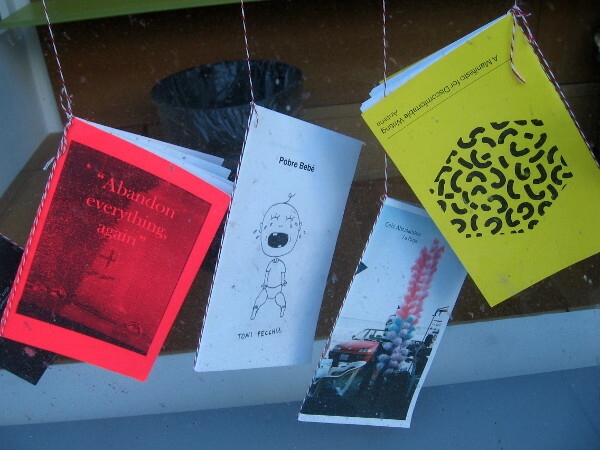 Many of the zines appear to be subversive; others are humorous, or philosophical, or inspiring. Best of luck to all the authors! Keep on pushing to new horizons! 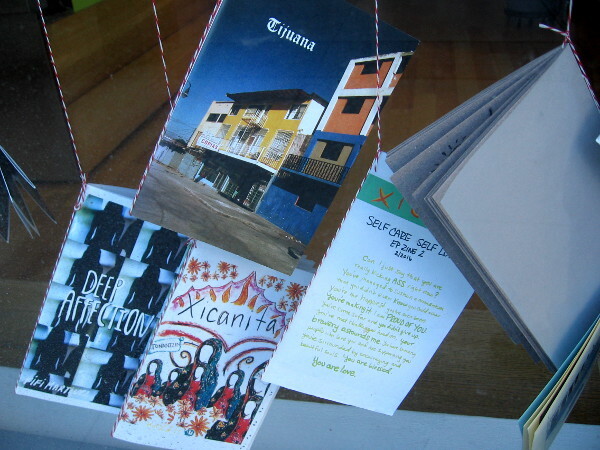 Tijuana Zine Fest is an annual festival that celebrates self-publishing and independent art in the culturally fertile Tijuana-San Diego border region. 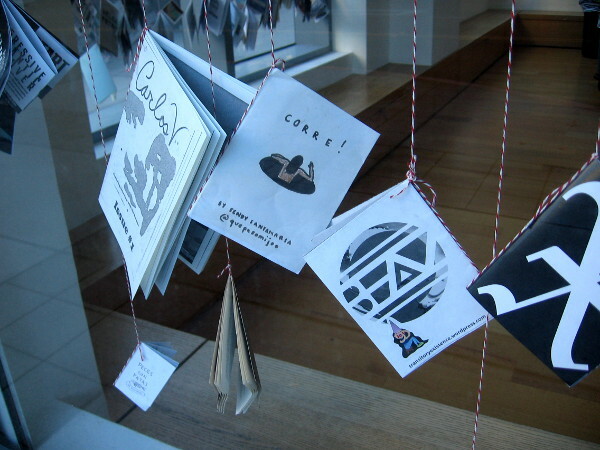 A bunch of creative zines hang inside the windows of the downtown Museum of Contemporary Art San Diego, in their building at America Plaza. Why are you dumping me? Snap out of it. Tijuana. Deep Affection. Xicanita. Self Care – Self Love. 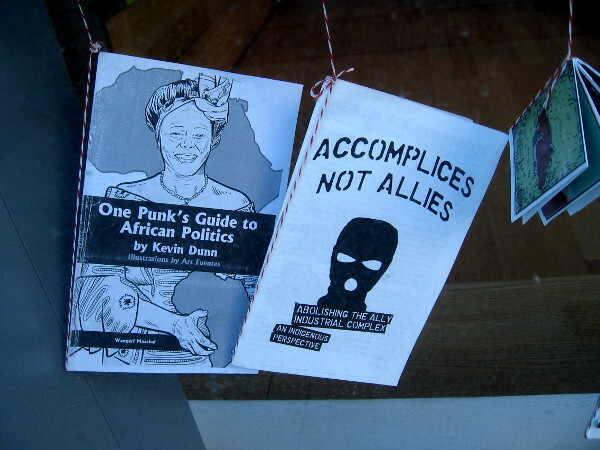 One Punk’s Guide to African Politics. Accomplices Not Allies. Abandon everything again. Pobre Bebé. La Playa. A Manifesto for Discomfortable Writing. 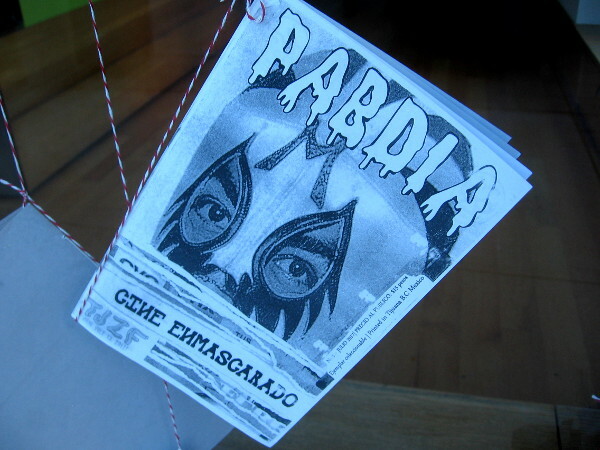 To read a variety of philosophical stories I’ve written, click Short Stories by Richard. 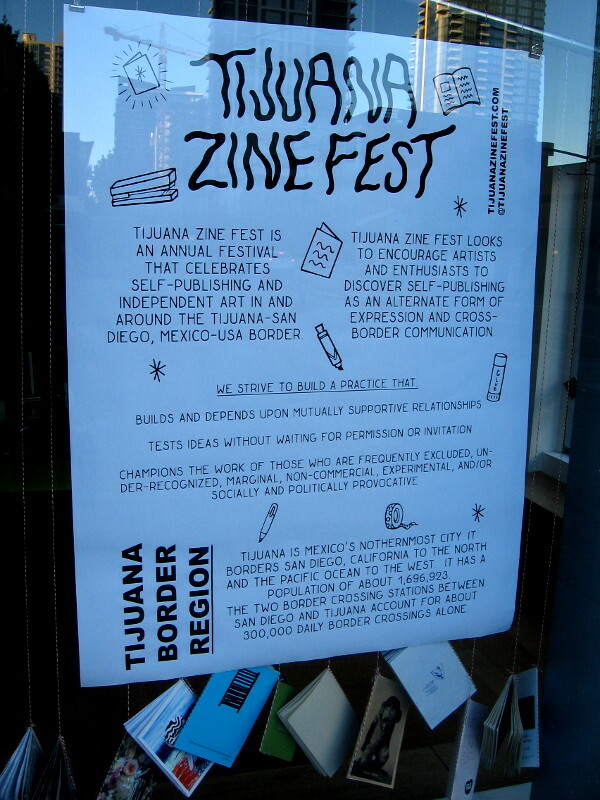 Posted on October 25, 2017 March 25, 2019 Tags art, artists, authors, controversial, creativity, culture, diversity, mexico, museums, philosophy, publishing, san diego, tijuana, writingLeave a comment on Tijuana Zine Fest at Museum of Contemporary Art. 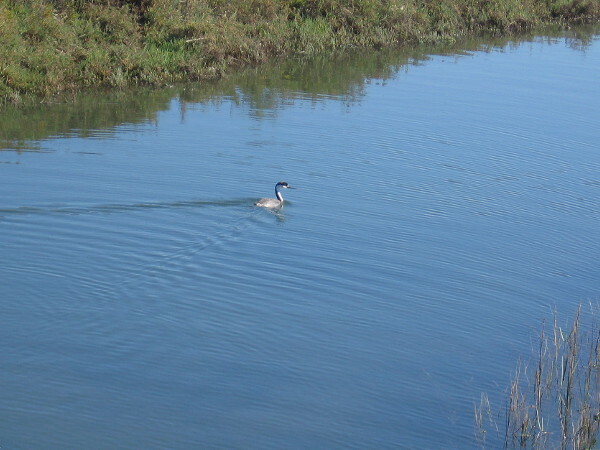 Photos of a nature walk in Tijuana River Estuary. 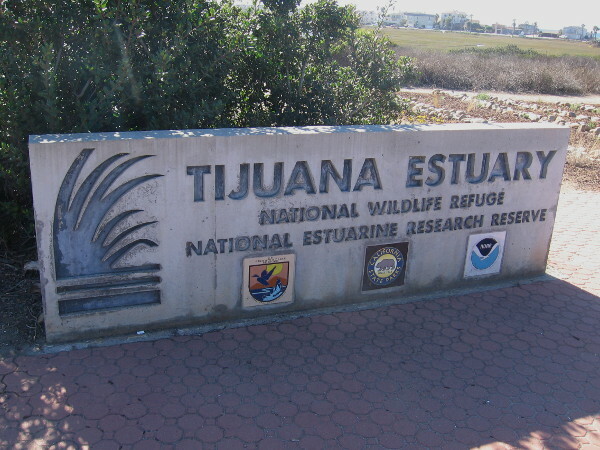 Sign near the entrance to Visitor Center of Tijuana Estuary, home of a National Wildlife Refuge and National Estuarine Research Reserve. What place in North America officially contains the most plant and animal species? You don’t know? 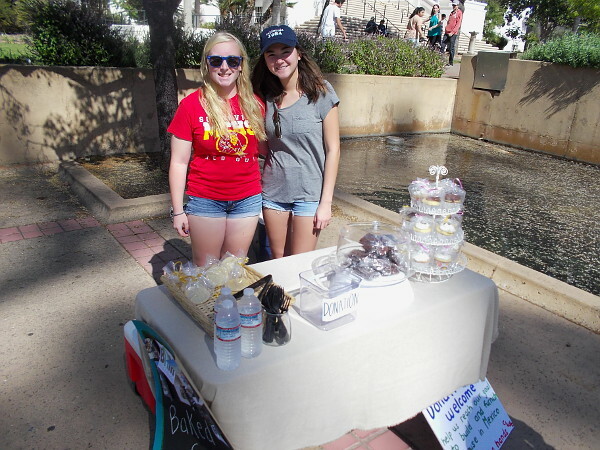 San Diego and the Northern Baja California region! 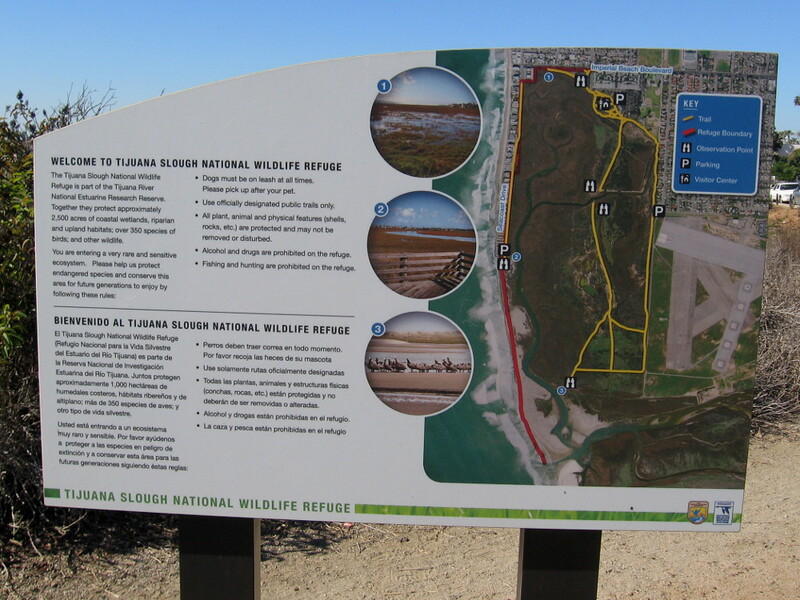 Yesterday I took a nature walk around and through the northern section of the Tijuana River Estuary. 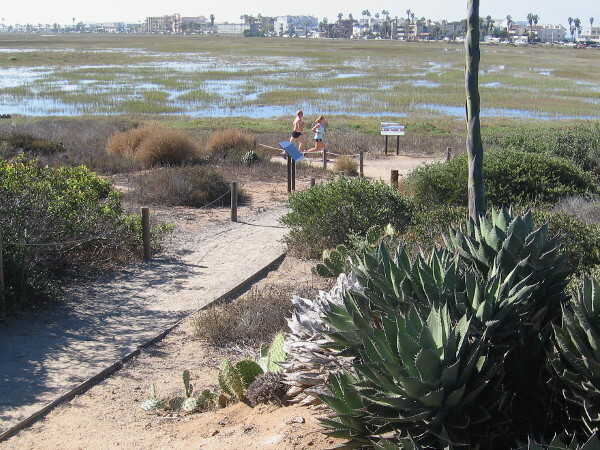 The large estuary, which is located at the extreme southwest corner of the continental United States, where the Tijuana River empties into the Pacific Ocean, contains abundant life which reflects San Diego’s amazing biodiversity and range of habitats. The Tijuana Estuary is not only a place of tranquil beauty, but it’s a scientific laboratory, protective refuge, and outdoor classroom where the public can learn about our natural environment. It’s managed by several agencies, including the NOAA National Estuarine Research Reserve System, the California Department of Parks and Recreation, and the National Wildlife Refuge System under the U.S. Fish and Wildlife Service. I absorbed so much information while walking about, reading signs, and listening to a volunteer guide during a short nature walk near the Visitor Center, that I couldn’t possibly convey it all on my blog. So I’ve selected some photos and have captioned them so you’ll get the gist of what I saw and learned. And hopefully you’ll want to visit, too! 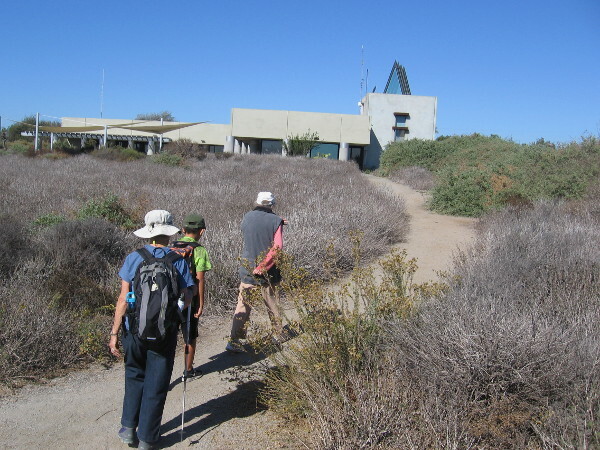 Relatively few people partake of the scheduled weekend nature walks at the Tijuana Estuary Visitor Center. Joan, the plant expert, said that some days nobody shows up. What a shame. Because there’s so much beauty, so much to see. I strongly encourage anyone who lives in the San Diego area to head down to Imperial Beach and take a long, leisurely walk where life thrives! 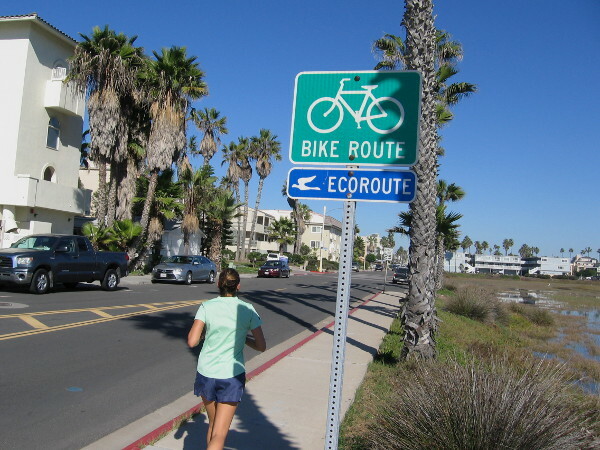 Ecoroute Bikeway and sidewalk along Seacoast Drive in Imperial Beach offers views of the north section of 2,500 acre Tijuana River Estuary. 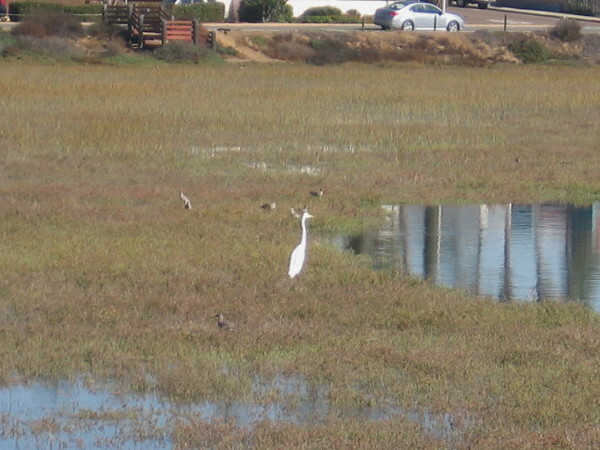 A white egret and other small birds enjoy the fertile, nutrient-rich environment created by this important coastal wetland. A shorebird equipped with a long bill, used to poke into sand and mudflats for food. Over 370 species of birds have been sighted in the wildlife reserve. 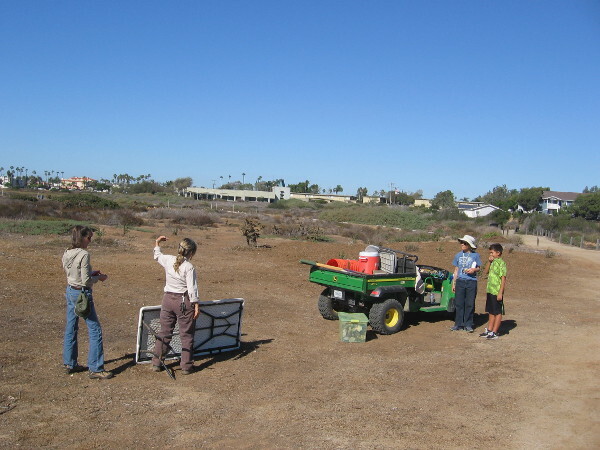 Once a dump, and destined to be a boat marina, local citizens fought to have the Tijuana Estuary protected as a National Wildlife Refuge and National Estuarine Research Reserve. 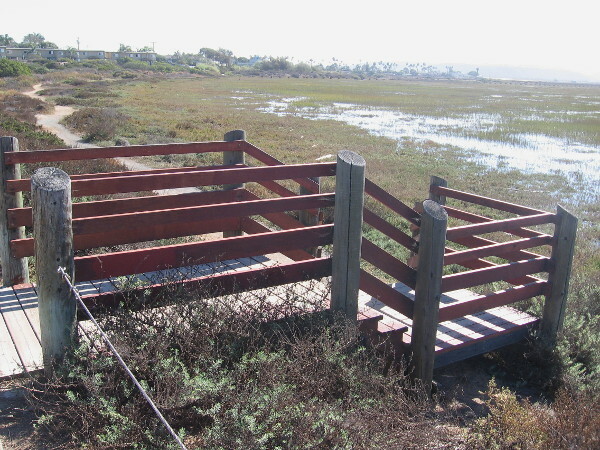 Steps lead down from Imperial Beach Boulevard to one of many trails in the fascinating, life-filled estuary. 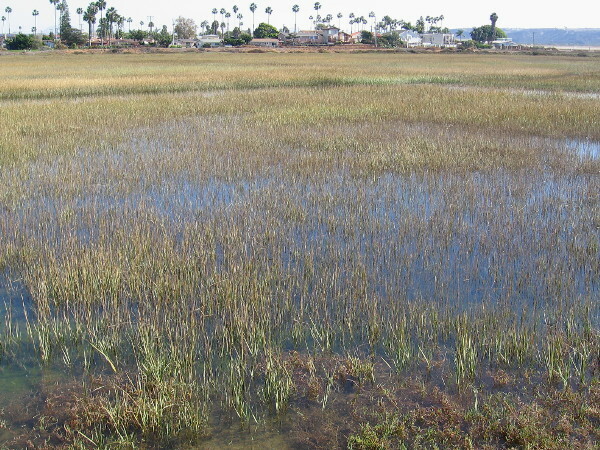 There are many habitats in the estuary including dune, salt panne, salt marsh, mudflat, brackish pond, riparian, coastal sage scrub, and vernal pool. 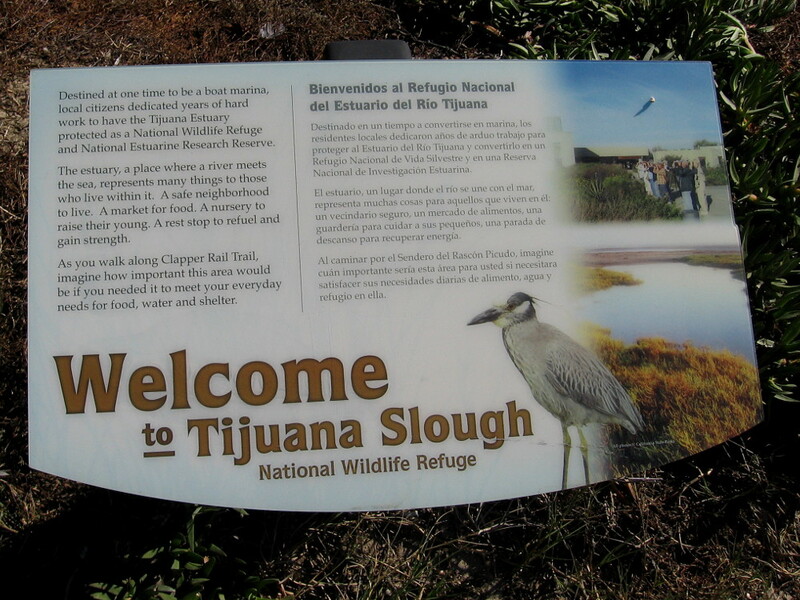 Sign welcomes visitors to Tijuana Slough National Wildlife Refuge. Five endangered and two threatened species of birds are protected here in their natural habitat. 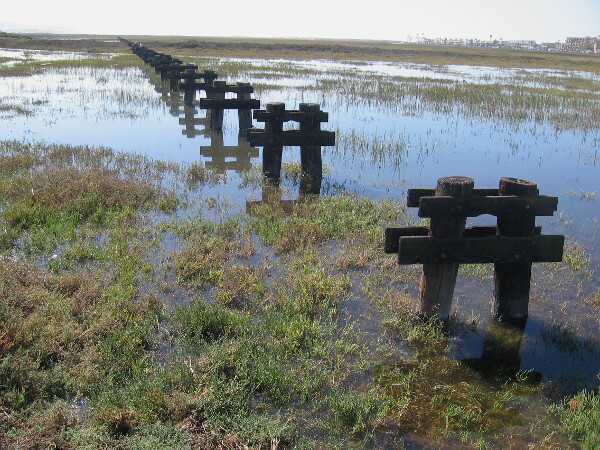 I was told these old wooden pilings used to support a storm drain which ran out to the ocean. 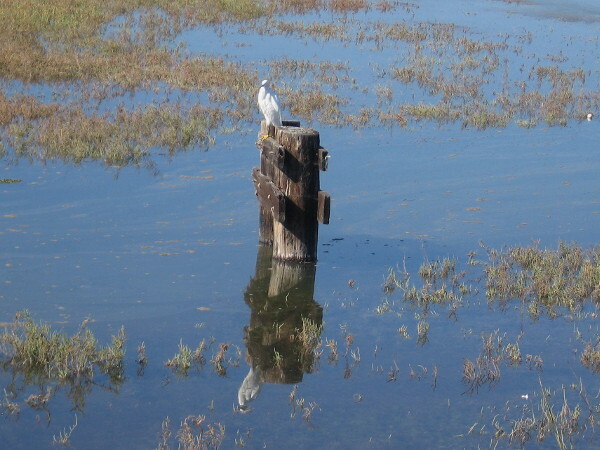 A Snowy Egret perches atop a post, perhaps watching the water for prey. Small fish, frogs, reptiles and insects are part of the food chain in a shallow river estuary. 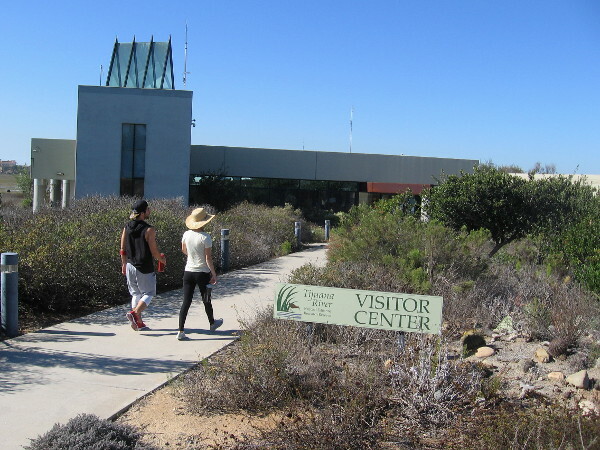 The path to the Tijuana Estuary Visitor Center passes through a garden of native plants often found along the coast of Southern California. 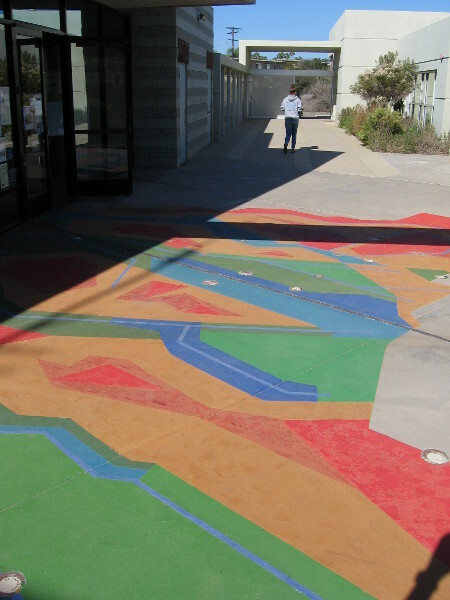 This colorful abstract map at the Visitor Center entrance represents the 1,735 square mile watershed of the Tijuana River, reaching deep into Mexico. 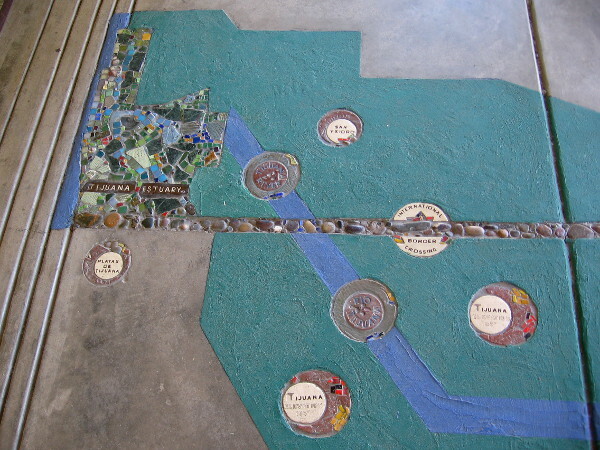 The edge of the map, inside the Visitor Center’s door, shows a part of San Diego and Tijuana. As it nears the Pacific Ocean, the Tijuana River crosses into the United States. One of many educational exhibits inside the cool Visitor Center. Wildlife abounds . . . at Tijuana Estuary! 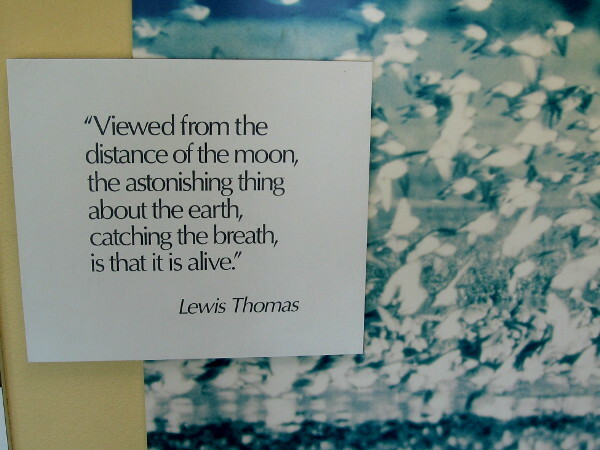 Viewed from the distance of the moon, the astonishing thing about the earth, catching the breath, is that it is alive. 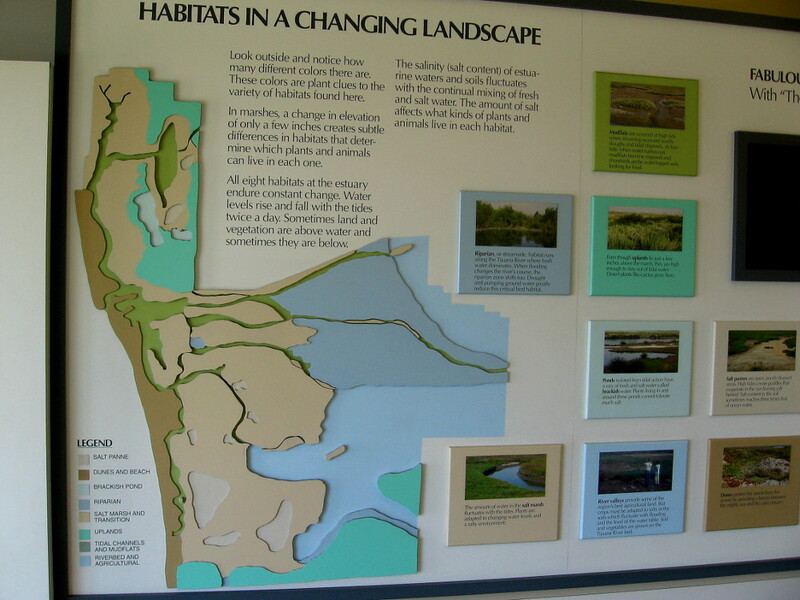 Habitats in a changing landscape. 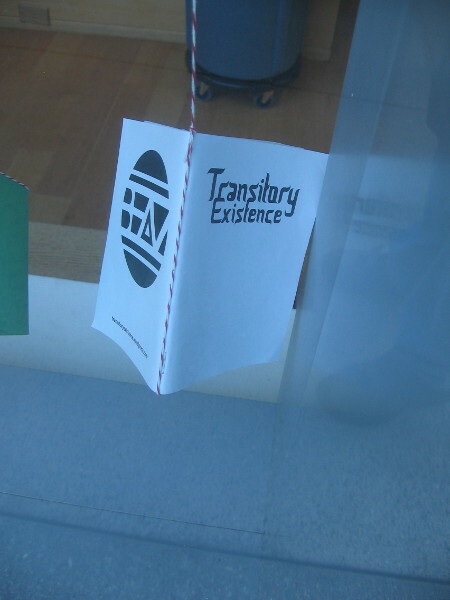 All eight habitats in the estuary endure constant change. Water levels rise and fall with the tides. Salinity of the water fluctuates. 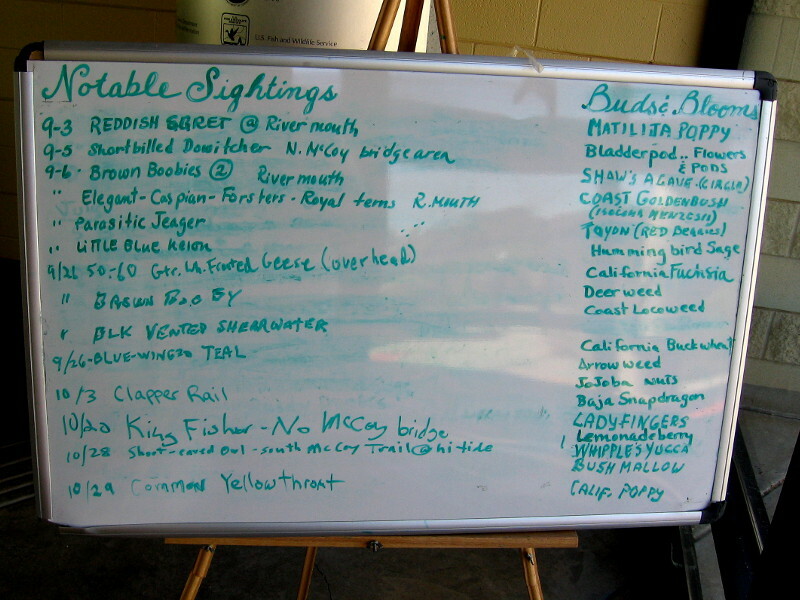 Visitors can jot notable sighting of birds on a board inside the Visitor Center. Buds and blooms are also listed. A few people out on a nature walk on a pleasant Saturday in November. 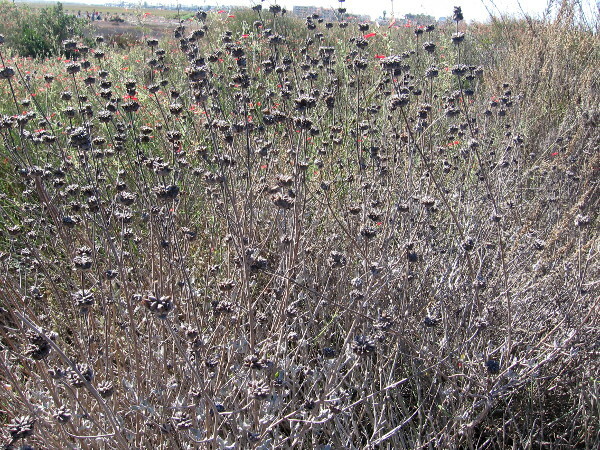 The estuary is full of blooms, birds, and animal activity, even as winter approaches. Joan, a super nice park volunteer who is a plant expert (and author of a fun native plant book), shows us the yellow bloom of California bush sunflower. Even though the blue blooms of this pleasantly aromatic Cleveland Sage have dried, the seeds pods have a bluish tint. 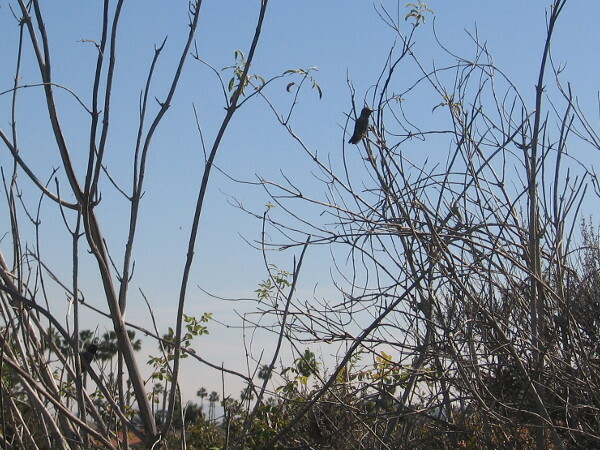 A tiny hummingbird is perched on the branch of a shrub. 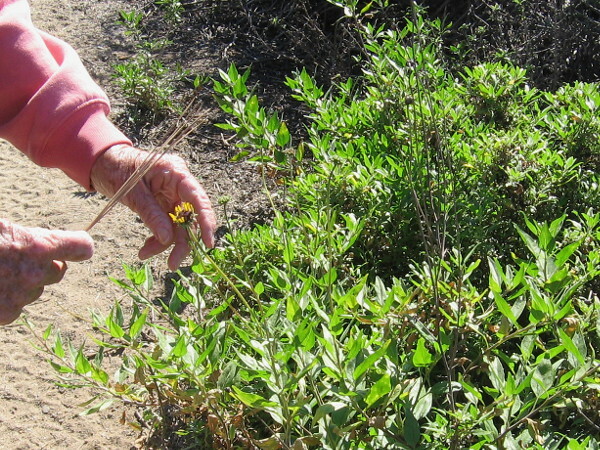 The Galvezia, or bush snapdragon, is common in Baja California. 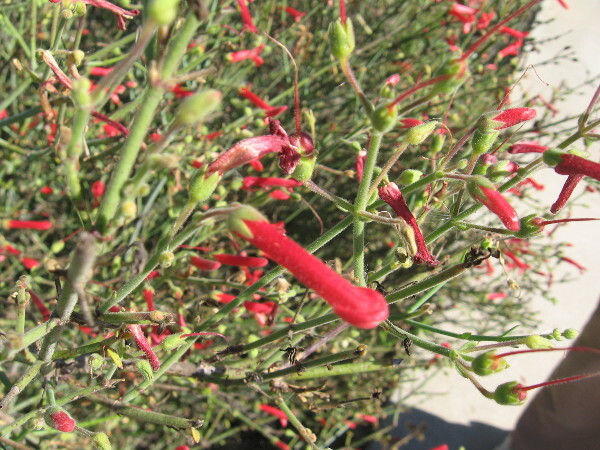 It has green stems, bright red tube flowers, and attracts hummingbirds. 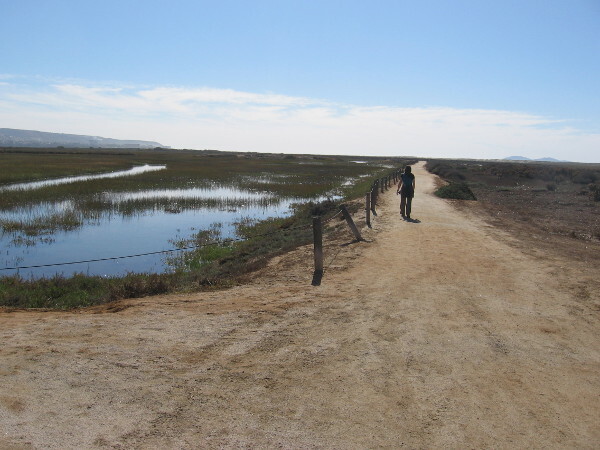 Hiking south down the North McCoy Trail in the Tijuana Estuary. Rising on the left horizon is Mexico. On the right horizon are the Coronado Islands in the Pacific Ocean. Ranger Debbie Good is super friendly. She answered a bunch of questions with a big smile. 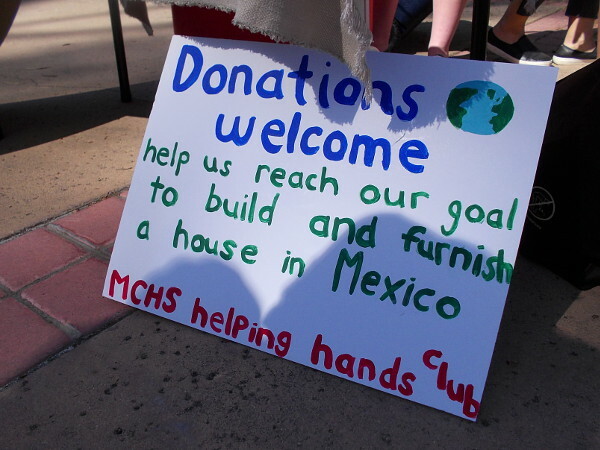 Here’s she’s putting away a table used to welcome volunteer workers. 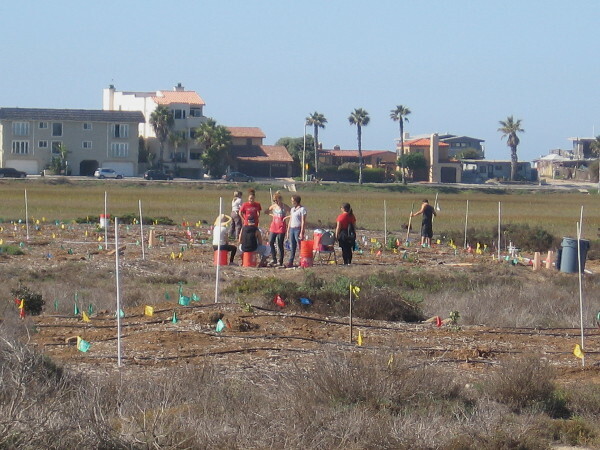 These volunteer students from SDSU are helping to plant native vegetation. Efforts to return the estuary to a natural state are ongoing. This area several decades ago was a dump. Looking across cordgrass and a beautiful wetland at the extreme southwest corner of the continental United States. 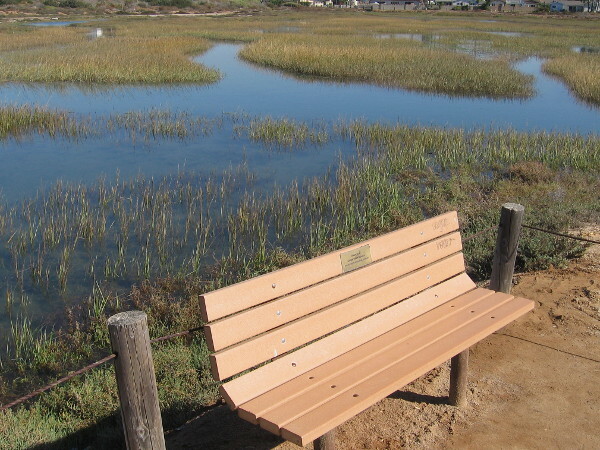 A quiet bench on the North McCoy Trail invites walkers to relax and take in the sunshine and surrounding tranquility. Plaque on another bench at the south end of the trail. 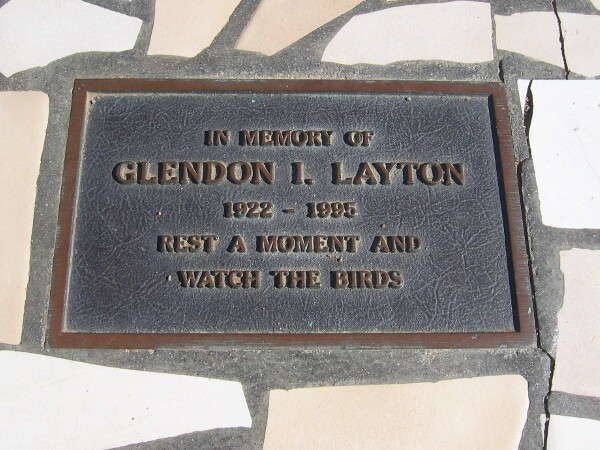 In memory of Glendon I. Layton. Rest a moment and watch the birds. 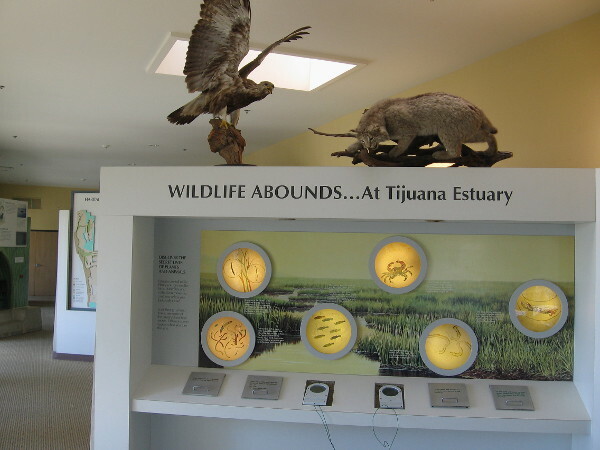 The Tijuana River National Estuarine Research Reserve and Tijuana Slough National Wildlife Refuge is a place where amazing biodiversity and nature’s beauty thrive. 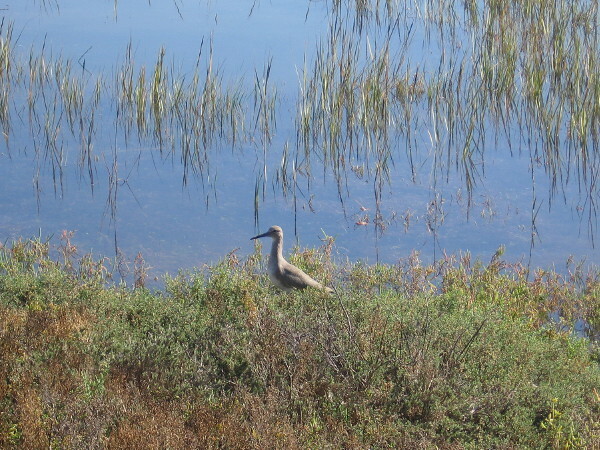 Posted on November 15, 2015 Tags birds, environment, estuaries, flowers, imperial beach, mexico, nature, photography, plants, rivers, san diego, tijuana, walking, wildlife11 Comments on Photos of a nature walk in Tijuana River Estuary. Caliente horse racing sign on downtown building. One of downtown San Diego’s historic buildings, which is now abandoned and used to be home of the California Theatre, features a large, eye-catching Caliente ad on its west exterior wall. The faded yellow sign dates from the 1960’s. Take a look! The Agua Caliente Racetrack, not far from San Diego in Tijuana, Mexico, today features greyhound racing. 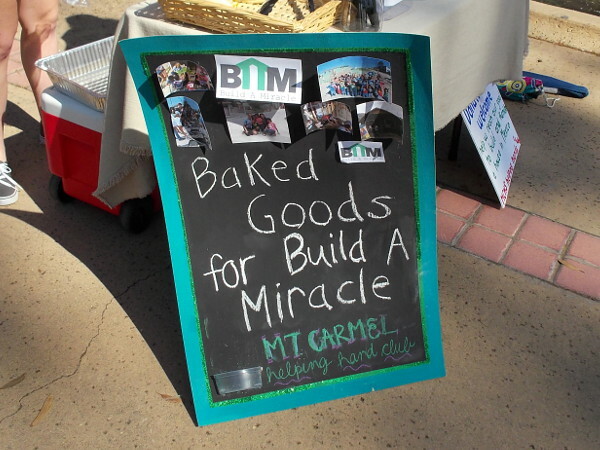 It opened in 1929 as a horse racing venue where big Hollywood celebrities were often sighted. Its popularity was largely due to prohibition and the fact that both drinking and gambling were illegal in many nearby American states. 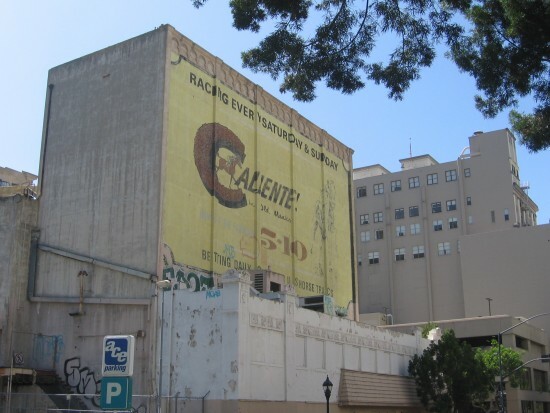 Large Caliente racetrack sign on old abandoned building. Posted on September 22, 2013 February 18, 2015 Tags advertisements, art, downtown, horses, mexico, painting, san diego, signs, street art, tijuanaLeave a comment on Caliente horse racing sign on downtown building.